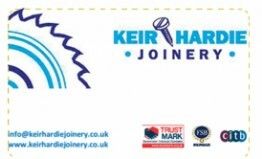 At each round of the Scottish Club Championship and Champion of Champions the competitors are asked to donate £1 for charity and at the presentation dinners raffles are held and many teams also donate their prize cheques. 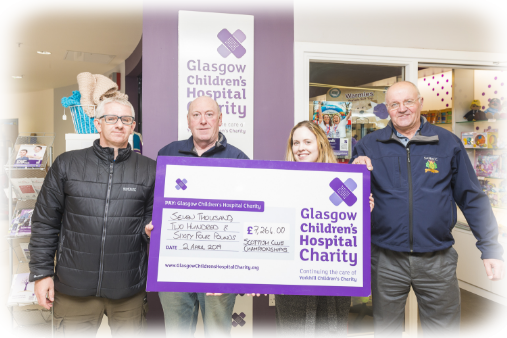 On Tuesday 2nd April 2019 Dennis Splaine, Alex Galloway and Paul Barr of the Scottish Club Championship Committee called at Yorkhill where they handed over a cheque for £7,264 to Aileen McConnell, Community Campaigns Manager for Glasgow Children's Hospital Charity. Heat 13 of the Scottish Club Championship which was scheduled for 27th July 2019 has been cancelled due to the low number of teams wishing to enter that date. As there are now 12 heats instead of the normal 13 the following criteria will be used to determine qualification from the heats to the semis and from the heats to the Champion of Champions. (c) The fourth placed team in the heat that has the most teams competing will qualify, and this approach will apply successively downwards to other heats until all vacant places are filled. Note that where one or more heats have been cancelled, the previous wild card ballot procedure, which topped up the qualifying teams to 20 in total, will not apply and all the remaining teams qualifying for the semis will be selected using the above procedure. The first five in each heat will qualify. The sixth placed angler in the heats with the most teams competing will qualify for the final. The selection process will be the same as applied to the selection of teams going forward to the SCC semi finals in similar circumstances i.e. the approach will apply successively downwards until vacant places are filled. Bridge of Weir Loch AC "A"
Bothwell & Blantyre AC "B"
Largs & District AC "A"
Dumfries & Galloway Police AC "A"
Dunoon & District AC "A"
Bothwell & Blantyre AC "A"
Dunoon & District AC "B"
Beith St Inans AC "A"
Bridge of Allan 76 AC "A"
Bridge of Allan 76 AC "B"
Bridge of Weir Loch AC "B"
Dumfries & Galloway AC "B"
Aberdeen & District AA "A"
Newton Stewart & District AA "A"
Largs & District AC "B"
Newtyle & Meigle AC "A"
St Boswells Newtown & District AA "A"
Leslie & Glenrothes AC "A"